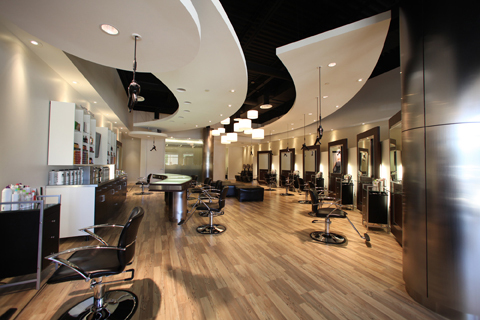 Art Arquitectos designed this projects for a Paul Mitchell salon at Houston, Texas. 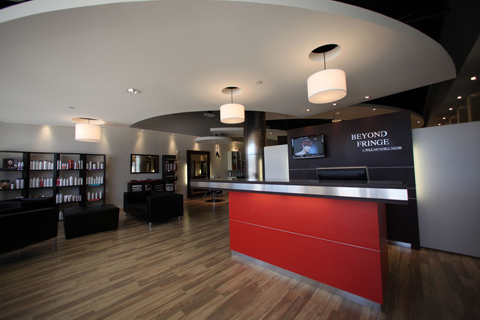 The low walls of this beauty salon bring out the depth of the space it’s housed in. 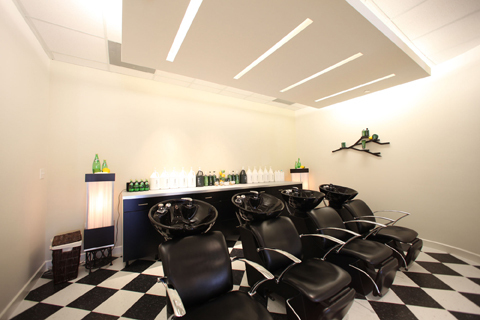 The stone slab, which has been painted dark gray, is laid bare before the premises to provide a backdrop against which the round white soffits hanging over specific areas stand out. 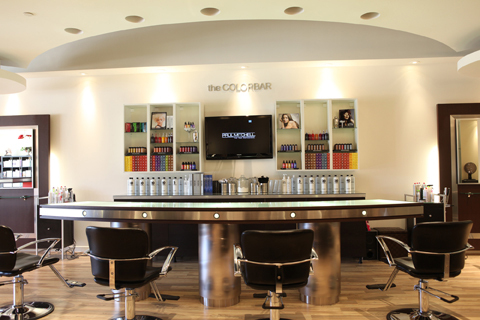 The haircut stations are semi-open and arranged in a circle around the focal point of the salon, which is where products on sale are displayed to the clientele. 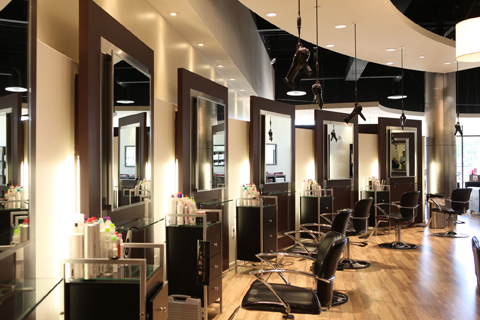 The hair wash area is also semi-open, albeit with a little more intimacy, and one area, akin to a spa, is completely sealed off.